Located in the Borgo della Fattoria, both Maggetto and the Villa offer individual rooms that are the best choice for those who prefer a brief stay but one with a full range of amenities. 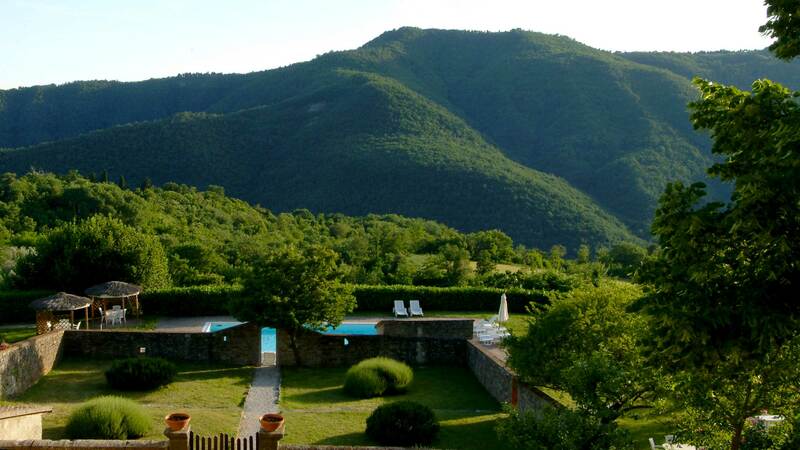 Guests enjoy use of the pool (season permitting) as well as a spacious garden nearby (the ancient hortus conclusus). The ancient Tinaia, or wine fermentation room of Maggetto, was restructured in 2006 into individual rooms with magnificent views out over the Valdisieve. The rooms are elegantly furnished, with open-beam ceilings and floors of traditional cotto tile; they boasts every imaginable comfort, including heating, free Wi-Fi, private bathroom with shower and personal care products. Some Classic rooms can accommodate up to 3 persons. In addition, there is a lovely common room with satellite TV and refrigerator.